Gwen Stefani performs at The Verizon Wireless Amphitheater in Alpharetta, Georgia. 07/30/2016. Credit: Splash News. Gwen Stefani looks young. What else can anybody say? Am I right? Yes. She’s 46 years old and let me say it again: Gwen Stefani looks young. Much younger than 46, in fact. Maybe it’s because the Gwen Stefani diet features organic foods and a vegan philosophy, or maybe it’s because when we see her on TV she has a bunch of makeup on. 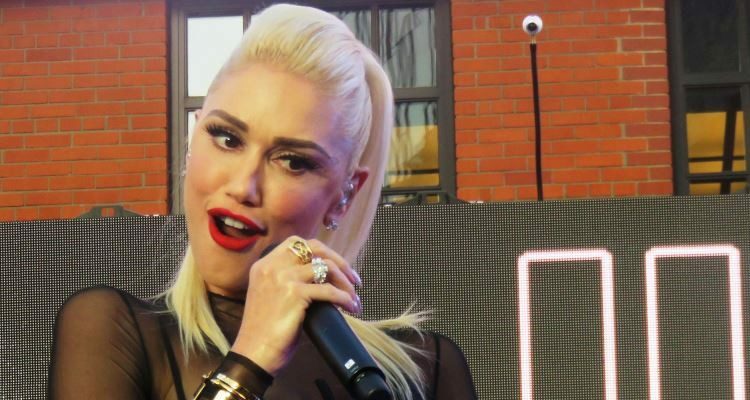 But whatever it is, Gwen Stefani looks young and it’s about time we examine how you can, too. Makeup doesn’t do a thing for your body so Gwen Stefani looking young has far less to do with what she puts on her face than what she eats and how she stays in shape. Not even Gwen Stefani’s children were capable of adding age to her physique, and a lot of that has to do with her vegan diet and smart nutritional choices. At the end of the day she takes care of herself and it really shows. It would be ignorant of me to pretend like everyone can afford to put the kind of time, effort and money into their diet as Hollywood stars. Remember, it’s these people’s jobs to look good so they have teams of people—trainers, dieticians, chefs, meal prep companies—in place to keep them looking good. The body is the product. But you can eat the same things as Gwen Stefani for far less money. A vegan diet consists of plant-based foods and zero animal products, making it different from vegetarian, which can include dairy or eggs. It can lead to weight loss, lower risk for heart disease, type-2 diabetes and even cancer. But because there are valuable nutrients found only in meat products, it’s important to supplement, too. Gwen Stefani reportedly buys organic foods, which is nice if you want a significantly higher grocery bill, but the truth is there are no nutritional benefits to eating organic. The only difference is the farming technique and use of pesticides, so if you’re not buying organic just be sure to wash your food thoroughly with a good rinse—and if you do buy organic be sure to wash your food for just as long. For Gwen Stefani to look young she probably eats nutrient-dense foods like beets, berries, sweet potato, quinoa and plenty of greens and other fruits and vegetables. These foods provide plenty of micronutrients and energy to fuel performances and the Gwen Stefani workout that keeps her tummy tight. She surely also eats healthy fats by way of nuts and avocado, which are rich in antioxidant vitamins that help keep her skin looking young and wrinkle-free. Lean protein is also an important part of her diet, which can be a slight challenge on a vegan diet. But to get her fill she likely eats a variety of beans and protein-rich grains like quinoa. It’s also possible she supplements her diet with B-vitamins, iron and Omega-3’s. When it comes to weight loss, longevity and looking young, Gwen Stefani’s diet featuring vegan and organic foods is doing her wonders. It can work just as well for you, so give it a try! Watson, S., “Organic Food no more nutritious than conventionally grown food,” Harvard Medical School, September 5, 2012; http://www.health.harvard.edu/blog/organic-food-no-more-nutritious-than-conventionally-grown-food-201209055264, last accessed August 4, 2016.